At Vereen Rehabilitation Center in Moultrie, Georgia, their philosophy is simple. To provide the gold standard of care. 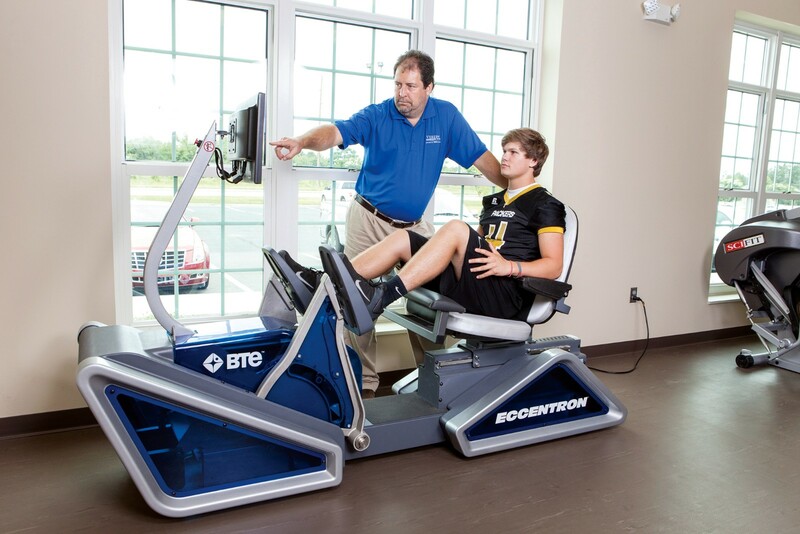 So Scott Romanowski, Director of Rehabilitation, contacted BTE to learn more about Eccentron – the sophisticated, pure eccentric resistance strength trainer with objective measures and results tracking. A unique product, it is the only machine that delivers negative resistance training in a safe, repeatable environment for all patients and athletes, helping them get better, faster. A year and a half after introducing Eccentron in his clinic, the Vereen Rehabilitation Center has over 175 Eccentron users ranging in age from high school students to 86 year old retirees. This broad population includes patients with orthopedic conditions of the ankle, knee, hip, and spine, as well as peripheral neuropathies, CVAs, head trauma, and spinal cord injuries. Give your patients the best care. Nothing elevates your clinical evaluation and rehabilitation outcomes and experience like giving your patients the benefits of a BTE. Drive referrals and increase patient retention with better clinical outcomes. Make a statement about your commitment to deliver the best patient care, and set your clinic apart, with a BTE. Ask a clinical results specialist how you can get better outcomes for your patients and for your clinic with BTE.